Just a reminder to everyone that the monthly open boardgaming event at LGG has moved back to First Sunday for next month and the remainder of the year. 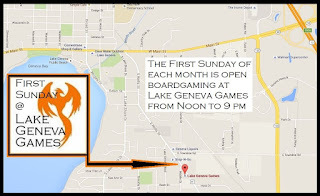 It's a gameday at the Lake Geneva Games store. They are located at 918 S Wells St, Lake Geneva, WI 53147 and their phone number is (262) 885-1515. The event runs from Noon until 9 pm and is mostly about pickup boardgames though planning more specific games on Facebook is certainly encouraged. Sign up for this event and discuss it further on Facebook here. There will also be a Burlington Gameday scheduled for this weekend on the third Saturday, April 16th, with details at the Burlington UCC Game Day group on Facebook here. 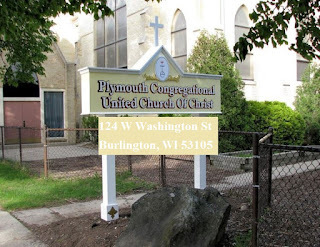 It will be held in Burlington, WI at the Plymouth UCC space, taking place from approximately 11 am to 5 pm. All are welcome! 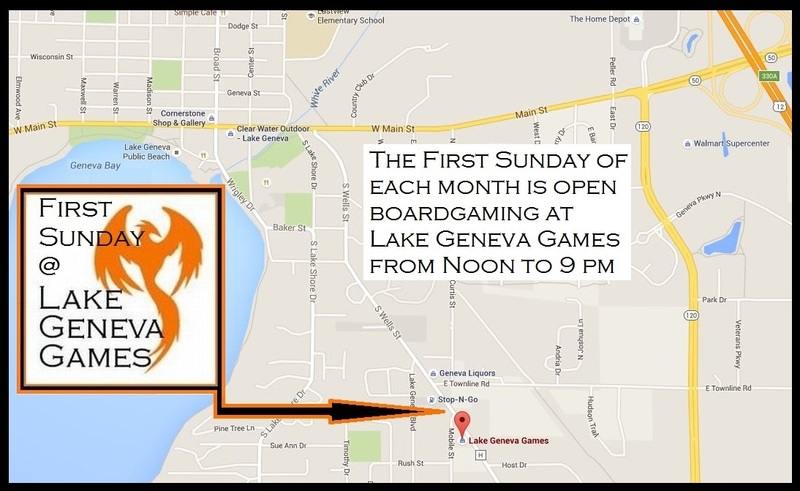 The third Sunday this and every month features A Gathering of Gamers, April 17th, set up by the South Lakes Area Gamers here. The event takes place at the Pizza Ranch in Elkhorn, WI, and requires a $12 fee for the all you can eat pizza and fried chicken buffet (salad bar, soft-serve ice cream machine, etc.) plus unlimited soft drinks and coffee from 11 am to 8 pm. Great fun!